« Can A Compass Help You Get Better Photos? 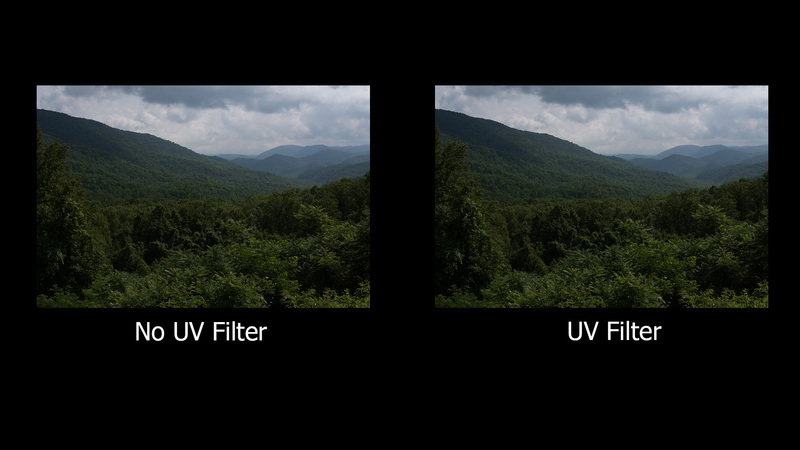 UV filters – do you need them or not? 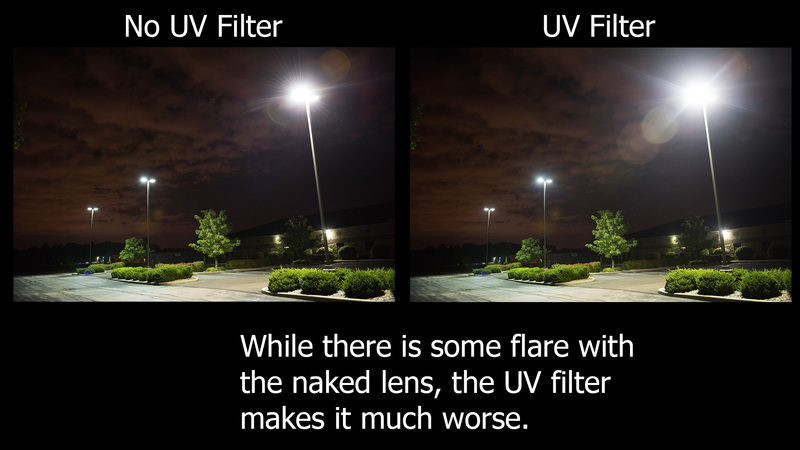 It’s a question that comes up all the time in photography circles with usually about half the people thinking they need UV filters and the other half thinking the fist half is crazy! So, what’s the truth? 1. 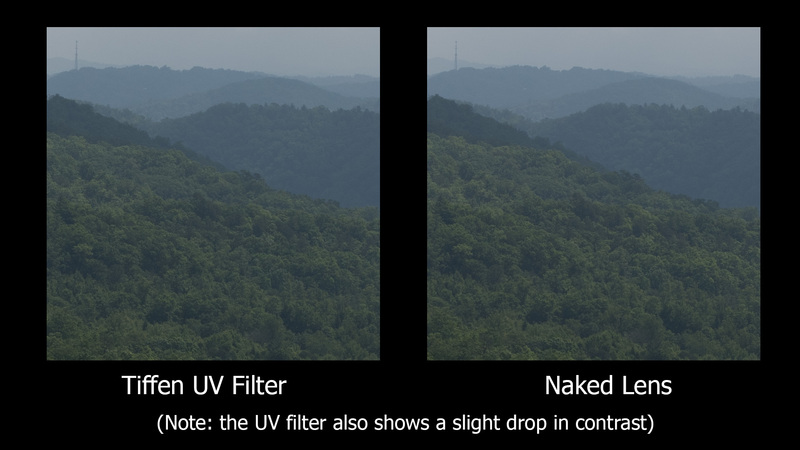 Do you need a UV filter to filter out UV Haze? 2. Do you pay a penalty in sharpness? 3. 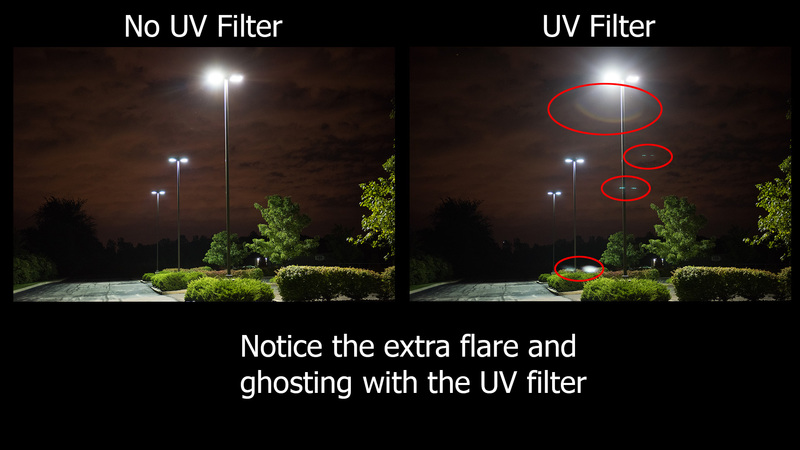 Do they increase flare? 4. Are they really cheap insurance? 5. 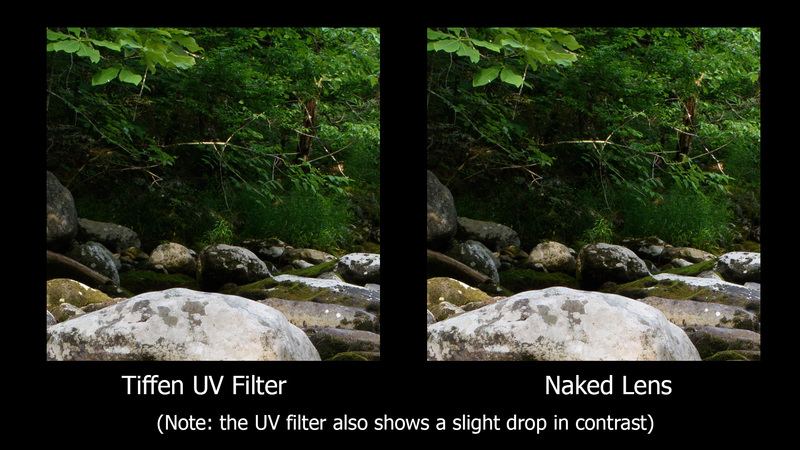 Do they REALLY protect your lens? 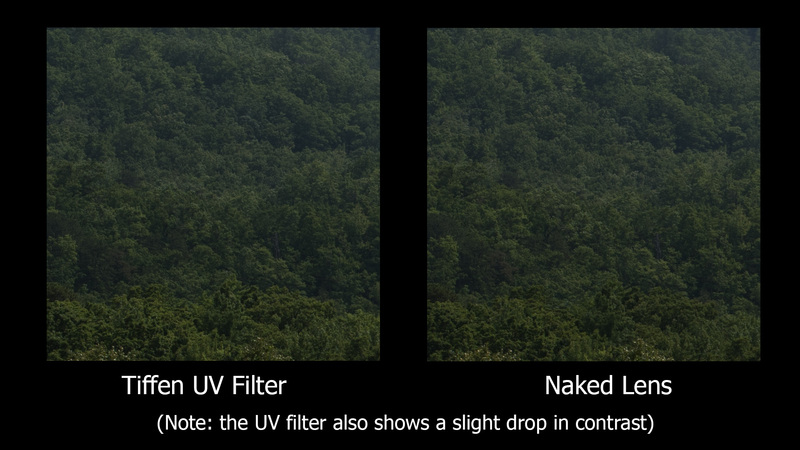 UV Sharpness Test (Tiffen UV Filter, Nikon D810, 24-70) Note, these are crops from the images compared above. An initial test at half height (24 inches), all filters tested failed. As I mention in the video, I thought SOMETHING would survive. I should have started lower, I just didn’t think anything would break this easily. No lens broke or was damaged in any way with the unweighted shuttle at any height. In order to get any lenses to break, we had to drop from the top with weight added. No filter tested could have survived even a 24-inch drop with no weight added. 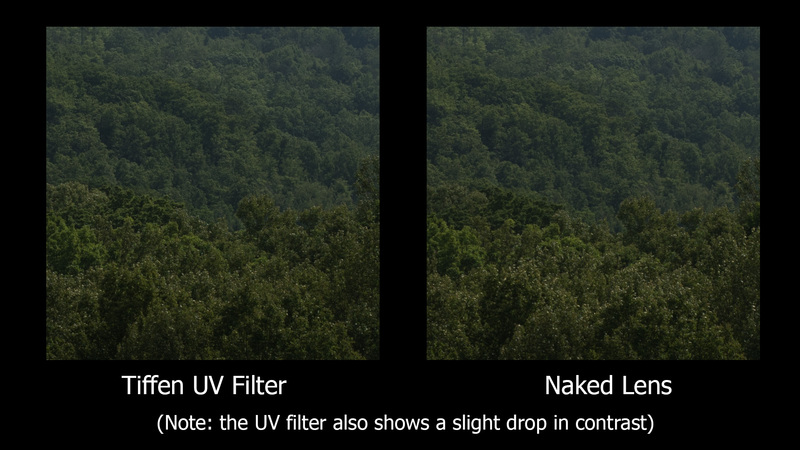 Also, note that once we got over 1 Lb combined weight, the force of the blow did cause internal damage on both bare lenses and those protected by filters. 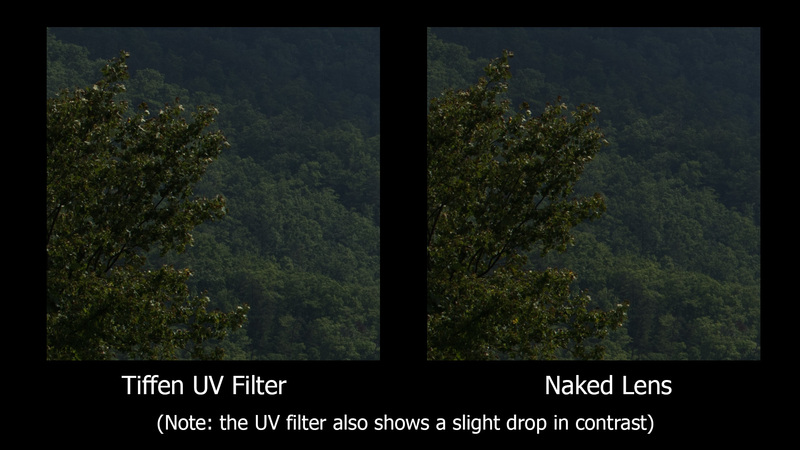 Lenses simply do not like being hit hard. Finally, feel free to add your own comments and info below. Thanks! 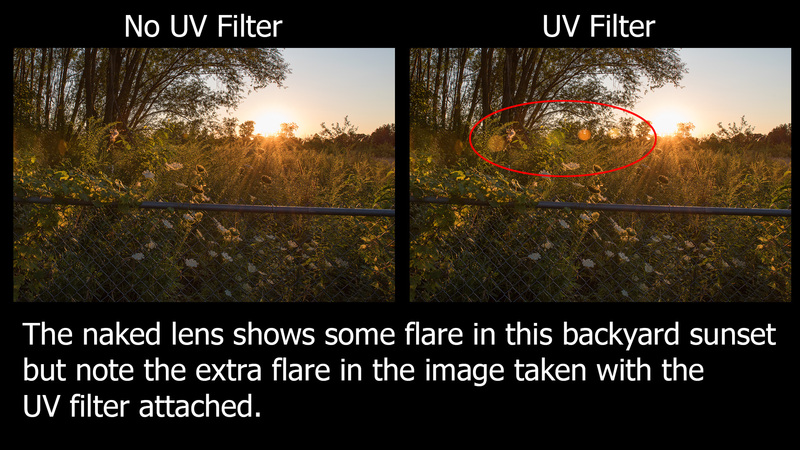 This entry was posted in Techniques, Tests, Using Your Gear and tagged filters, gear.